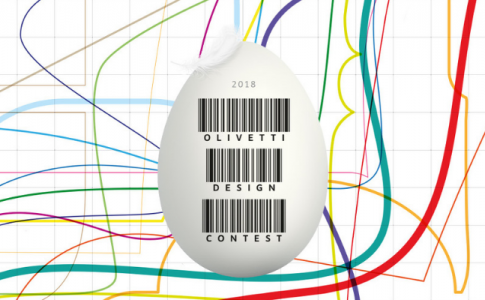 Home/Posts Tagged "politecnico of turin"
It’s called Olivetti Design Contest, the Industrial Design competition promoted by Olivetti, the famous company of Ivrea, protagonist of an age-old history of research and innovation and operating still today in the ICT sector. The contest, which takes place this year for the third time, is addressed to students of some of the most prestigious Italian and international institutes. Among the ones of Turin there are the IAAD – Istituto d’Arte Applicata e Design and the DAD, il Dipartimento di Architettura e Design del Politecnico di Torino. 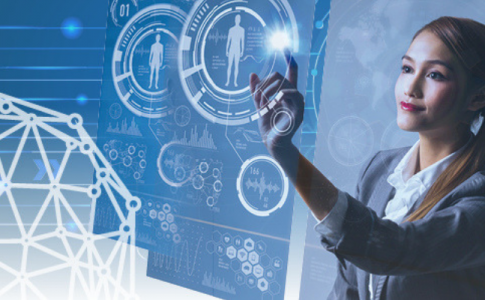 The contest will award a prize to the projects that will present an original contribution to the realization of a smart chair and/or a fiscal printer. The jury will examine the projects, considering conceptual elements of the work, the quality of the realization and the possibility of development from the commercial point of view, taking of course into account the values of Olivetti: guidance to the client, innovation, experience, excellence and proactivity. There will be three winning projects, to which, for each one of the two topics will be given a prize of € 2,000 (first place), €1,500 (second place) and €1,000 (third place). The participation to the contest is free, and it is possible to participate for the design of both topics or just one. All participants have to be students enrolled in the universities and academies pointed out in the 2nd point of the current regulations at the moment of the first sending of materials. If the project is developed by more than a student, all the team will participate in the contest. Download here the public note for all the details. The Politecnico di Torino has started the program “TOPoliTO: attracting international Top students at the Politecnico di Torino” , in order to recruit high-quality international students for the inclusion in courses of bachelor’s and master’s degree. The presence of a relevant number of international students in the university is a cultural value for the university and an opportunity for the region and its economic system. In an always more competitive European and global framework (also from the educational point of view), the program wants to strengthen the ability of attracting talented international students, who can gain access to bachelor’s and master’s degree courses of the university and who will profit from the Italian culture and scientific tradition. According to the program, in October and November will take place admission tests for the bachelor’s degree courses of Engineering (the candidate can decide to take the test in English or Italian), of Design and Visual Communication (test in Italian) and of Territorial, Urban, Environmental and Landscape Planning (test in Italian), for the academic year 2019/2020 in Chile, Brazil and Peru. 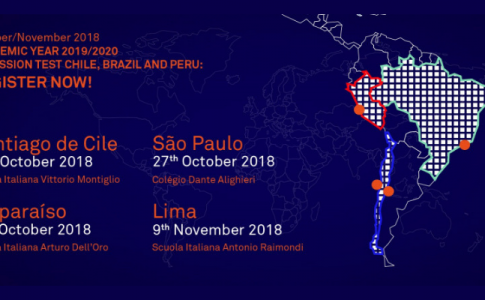 In particular, on 19th October there will be the tests in Santiago, in the Italian School “Vittorio Montiglio”, on 26th October in Valparaiso in the Italian School “Arturo dell’Oro”, on 27th October in São Paulo in the “Colégio Dante Alighieri” and on 9th November in Lima in the Italian school “Antonio Raimondi”. To sign up for the admission test, interested candidates have to register in the website of the university “Apply@POLITO” and follow instructions on the degree course for which they want to take the test, selecting date and place of the test. In addition, according to the project TOPoliTO, soon the public note for scholarships for candidates who will take the TIL-I, TIL-D e TIL-P in Chile, Brazil and Peru will be published. 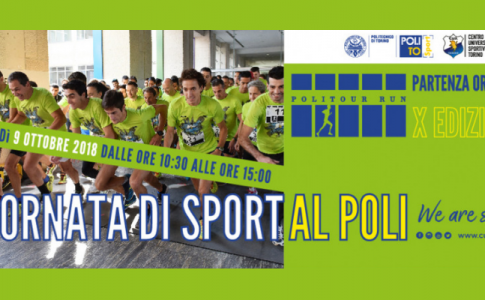 The “Giornata di Sport al Politecnico” (“Politecnico Sport Day) will be entirely destined to the promotion of sport, with the possibility for everybody to try the activities offered by the Centro Universitario Sportivo of Turin. Today, Tuesday 9th October 2018. Central court, Politecnico di Torino, C.so Duca degli Abruzzi, 24. At 12.30 am, will start the 10th PoliTour RUN, a mile run inside the Politecnico and the Centro di Ingegneria e Sviluppo General Motors Global Propulsion Systems di Torino, to which have been invited people who maintain relations with the university, General Motors and CUS Torino, athletes of the CUS, students of Politecnico and Erasmus students. This year, for the first time, there will be a challenge among the structures of the university, because part of the places are for components of departments and services of administration of the Politecnico (teachers, staff, PhD students and students with grants) in order to start a competition inside a competition between departments and structures. Always during the day the “Polo del Poli” will be given to all first-year students. Prepararsi al futuro, the speaking tour conceived by Piero Angela from the awareness of the central role that the science is acquiring today, both in the global and the daily context, will take place once again next Thursday with a new event on the scientific method. The events of “Prepararsi al futuro”, scheduled from 11th October 2018 to 26th February 2019, in collaboration with Compagnia di San Paolo, Fondazione per la Scuola, Politecnico di Torino and Ufficio Scolastico Regionale, propose to students an accurate analysis of the present, together with visions and predictions of the future. 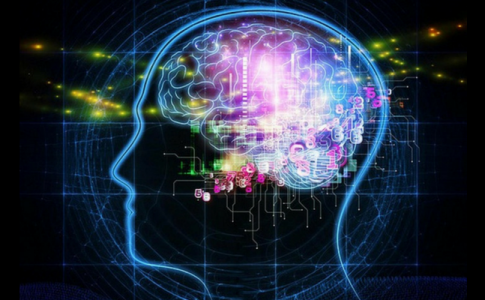 Through science and research of scientists, sociologist, demographers, doctors and entrepreneurs, the protagonists of the present will try to tell the future. The Politecnico di Torino is celebrating today, 1st October 2018, the beginning of lessons of the new academic year and there will also be a special moment for new students. Today, on the day of the beginning of lessons, in order to greet new students enrolled in the first year, the rector Guido Saracco will meet and welcome the students in the yard of the dell’ Aula Magna “G. Agnelli”, in C.so Duca degli Abruzzi, 24 at 1.30 pm. In case of bad weather, the ceremony will take place in the Aula Magna. During the event the Coro PoliEtnico, the choir of the university, will play some pieces from its repertoire. In the end, students enrolled in the first year will be given the sustainable water-bottles #MyPoliTObottle: a tangible sign of welcome in a campus, which is always more sustainable. 94% is the percentage of the students who find employment within an year after graduation from the Politecnico di Torino. This data was confirmed by the new world Graduate Employability Rankings 2019, by the prestigious British QS Institute. The Politecnico di Torino is once again on the international podium of universities which guarantee job prospects to its graduates. The ability to ensure that its graduates will find an occupation has always been one of the qualities of the Politecnico di Torino. Yesterday, 11th September 2018, the Politecnico was awarded the bronze medal, ranking third in the world (not far from the Moscow State Institute of International Relations (MGIMO University) and the Politecnico di Milano) according to the Graduate Employment Rate, one of the five indicators of the ranking on the employment of graduates, which this year has analysed 500 universities worldwide. The criteria followed are: the employer reputation, partnerships with companies, the success of graduates in their careers, the presence of companies in the campus and the rate of employment of graduates within an year from graduation. It’s thanks to this last indicator, calculated as the proportion between the percentage of employment of graduates and the average of the Italian universities taken into account, that the Politecnico di Torino ranked third worldwide. The Politecnico was also good for another indicator, according to which the university ranks second in Italy: the employer reputation, which assesses the reputation that the university has according to the employer. All in all, taking into account the five indicators and the importance they have in the ranking, the Politecnico of Torino is once again between the 121st and the 130th position and so it is in the first quartile of the best universities in the world. “These results, which have not changed in the percentage of students employed compared to the ones of last year, show how the education of our students is still highly regarded in the labor market. The third position in the world awards our policies, which are successful despite the choice of the Politecnico di Torino to serve the country by welcoming a lot of young people and keeping taxes low. Italy, in fact, really needs graduates if it wants to remain an advanced country (as OECD has just reminded us). Thanks to the actions arranged to professionalize degrees and by proposing a didactics more and more focused on the student and enriched by the presence of entrepreneurs and professionals, we can improve even more this already impressive result”, said the rector Guido Saracco. Architecture students can now sign up for the Sommerakademie Venedig 2018. The Accademia Internazionale di Architettura di Venezia offers to architecture students from the Technische Universität Dortmund, the Politecnico di Torino, the Technical University Eindhoven and from Potsdam School of Architecture, the incredible opportunity of knowing the city of Venice and intensively studying its architecture for two weeks. The study holiday isn’t just a course, but it also gives the chance to improve one’s knowledge by studying urban and architectural elements of a very special European city. Furthermore, meeting guests and debating with students from other schools allows for an enriching experience on both technical and cultural points of view. Each square will be thoroughly measured, with perspective sketches of the façades of its buildings, as well as of spatial relations. Through careful observation, students should understand the relation between the square and the elements which define it (buildings with façades). 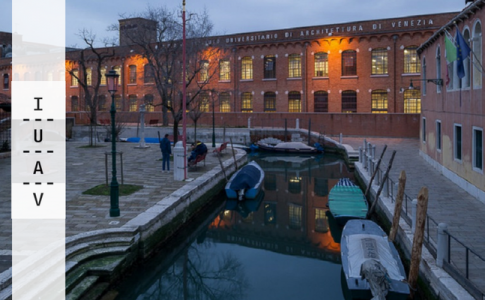 Learning to consider materials, colours and proportions as a base for building a façade is the focus of the Accademia di Venezia this year. After the analysis, a new façade will be designed for one of the buildings surrounding the square. Students will receive support from the TU Dortmund Architecture, with lectures on different drawing techniques; and from foreign professors, lecturing on specific subjects. – Students attending second-level degree in Architecture for Sustainable Design, Architecture Construction and City and Architecture for Heritage preservation and enhancement. Sign up: email venedigsommerakademie@gmail.com attaching a concise curriculum with a list of completed exams and marks, workshop experiences in Italy or abroad, participation to university exchange programs, work experiences and all information which may be useful for the assessment. A didactic project of your choice must also be submitted in a single A3 panel (pdf, jpg or tiff of maximum 10 Mb). N.B. : The participation in the Sommerakademie requires no registration fee, each student must pay for the stay. Options of accommodation will be given to the selected students (shared apartments, approximately € 25/night). Students can choose their accomodation freely. You are allowed to leave the workshop temporarily in order to take September exams. Preparation meeting: Friday, July 27, 10.30. Tomorrow, Friday June 15, 2018 at 5.30 pm, in the Corte Interrata of the Politecnico di Torino (Room 8I), there will be a talk on “Il patrocinio al Torino Pride e il ruolo dell’Università nella lotta alle discriminazioni” (“sponsoring Torino Pride and the role of University in the fight against discrimination”). Almost 50 years after the beginning of the fight for the recognition of fundamental rights, the LGBTTQI* (Lesbian, Gay, Bisexual, Transsexual, Transgender, Queer, Intersex, etc.) community still has too many unsatisfied and unheard demands. The community is trying to call attention on the dark and too often “slow” times we are living, concerning discrimination, violence and protecting rights. The talk will analyse the role universities must play in the fight against discrimination, in a time marked by reactionary attitudes and exclusion of diversity. 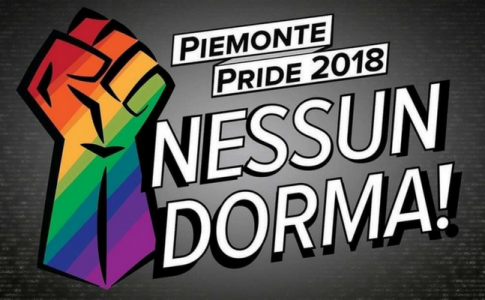 That’s why, along with the full participation of the University of Turin and of the Politecnico to the big party for the rights of the community – Torino Pride 2018 on Saturday, June 16 – there will be an area of discussion and analysis of LGBTQI topics in a particular setting: university. The moderator will be Daniele Marchisio, Professor from the Politecnico di Torino. Food and drinks offered by the Politecnico di Torino. Last Monday, June 11, 2018, the AlmaLaurea 2018 report on the Profile and the Employment Status of Graduates was presented in Turin. Of all graduates involved, there were 6,597 from the Politecnico, of which 3,412 first-level and 3,185 second-level graduates. The profile of the interviewed graduates confirms the high percentage of international students: 9,1% of first-level graduates (compared to 3,1% in Italy) and 13, 4% of second-level graduates (compared to 4,6% in Italy). The outcome on university experience was significant: 9 out of 10 graduates stated they are satisfied with their general university experience. For PoliTo’s students, entering the job market already begins during university years. 46,4% of graduates has done an internship recognized by their university: 42,2% of fisrt-level graduates and 51,0% of second-level graduates (considering those who did it only during the first three years, the percentage goes up to 69,8%). As for the employment profile, the study shows that the majority of these young people continue studying after their Bachelor’s degree course, therefore postponing their entrance to the job market after their Master’s degree course. Among first-level graduates who have never applied for a Master’s degree, therefore they started to work, the employment rate is 76,7%, compared to 71,1% nation-wide. The most significant datum concerns second-level graduates one year after graduation: 86,4% of second-level graduates of the Politecnico is employed. This percentage is far higher than the average in Italy, 73,9%, and it is increasing compared to last year’s percentage, 83,7%. This confirms the upward trend registered by the Graduate Employability Rankings 2018 as well, made by the British institute QS by calculating the relation between the employment percentage of graduates and the average of Italian universities analysed in the ranking. 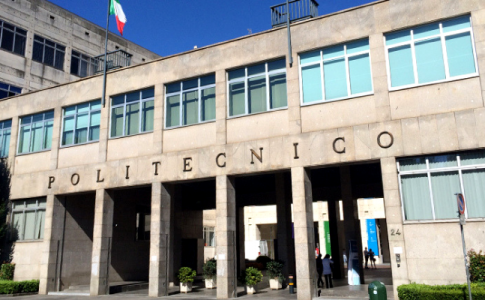 The Institute certifies that the Politecnico di Torino is the first university in the world which guarantees job opportunities to its graduates. Latest data from Almalaurea show that the percentage of employed people still increases five years after graduation, reaching 95,3%. The wage difference between second-level graduates of the Politecnico and the Italian average is significant: 1,429 euros net per month compared to an average wage of 1,153 euros a year after graduation, and 1,741 euros compared to 1,428 euros five years after graduation. “Th data presented today by Almalaurea confirm an upward trend which has become fundamental for our university. It’s a good sign, for students and their families, who in always larger numbers choose the Politecnico also for its job opportunities. We want to keep offering these opportunities in the future years as well, thanks to the organization of courses with a focus on diverse knowledge, teamwork and a cross-curricular challenge. This will be possible thanks to a more consistent use of innovative teaching methods, with more fieldwork, in order to create more impact on the society and increasing critical skills necessary to train future engineers, architects, designers and planners”, commented the dean Guido Saracco.